Type in the name of your organization! 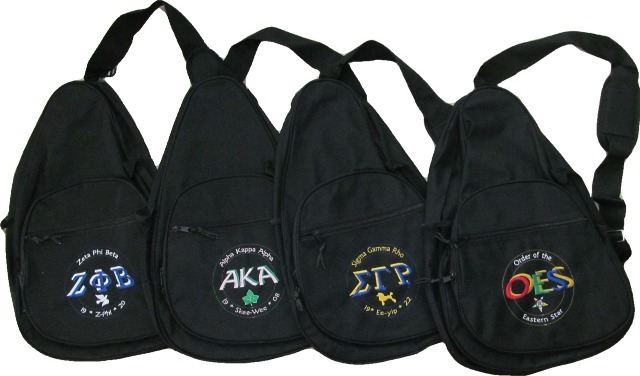 These slingbags feature the name, call and founding year arched around the letters, on these great backpacks. They have room to spare and pockets galore! * Click on the picture to see a larger view and read the wording on the bags! 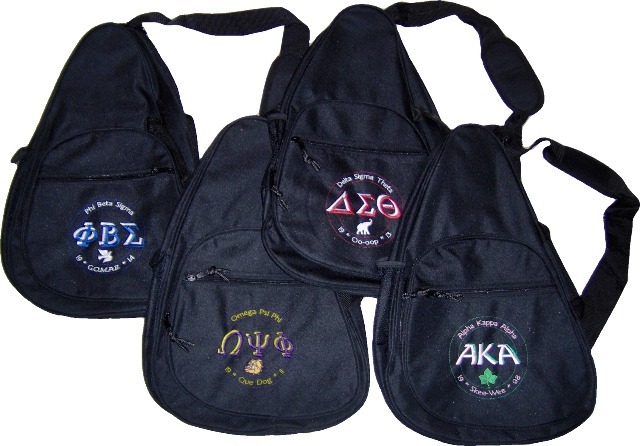 If you're needing a bag for an organization not featured on our website, please include information in the comment section on our order form.